Jeff Fagerman, a professional surveyor and certified photogrammetrist, has joined the panel of speakers on the Aug. 31 webinar, “Integrated Technologies for Industrial Positioning.” The webinar is free (register here) and focuses on applications in the electric utility/telecom sector, such as site inspections, drones and geographic information systems (GIS) mapping in general. Participants will learn how to maximize reach and capabilities using various sensors and technologies integrated with GPS aboard unmanned autonomous vehicle (UAV) platforms. Also joining the panel for the Aug. 31 webinar is Chris Lund from Honeywell Corporation. He will focus on inertial sensors as the centerpiece of any robust industrial positioning solution. Given they can’t be interfered with, inertial sensors are the glue that binds the information from all the other sensors together to reveal the desired insights and maximize operator uptime/efficiency. The two new speakers join Derrick Reish of Laser Technology, Inc., for the webinar. Fagerman is founder and owner of Lidar USA. He holds a Master’s degree in photogrammetry from Purdue University. During his tenure with Intergraph from 1985 to 1999, he worked as a photogrammetric software developer on that company’s innovative photogrammetric workstations. In 1999, he started Fagerman Technologies, now known as Lidar USA. In 2010, the main corporate focus became mobile lidar aboard UAVs. Chris Lund is a senior director of product marketing for Honeywell’s Navigation and Sensor business. He has experience running product lines for inertial measurement units as well as for surface and marine navigators. Previously, he had engineering roles as a researcher, project lead and technical manager. Lund has an M.S. in the management of technology. 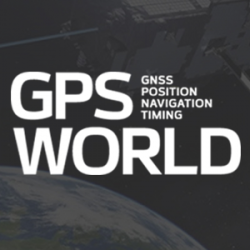 He has been working on navigation-related technologies since the late 90s, holds multiple patents, and has co-authored several conference papers and presentations. Lidar USA provides solutions for GIS, surveying, civil engineering, agriculture, forensics, BIM, heritage mapping — all things 3D and beyond. 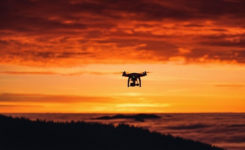 In addition to UAV-based mapping and surveying, the company has developed ground—based lidar, building an economical mobile mapping system called ScanLook, incorporating scanning, imaging, and navigation. The company has provided client services in survey/mapping, agriculture, law enforcement, military, archaeology, and education. Derrick Reish, Laser Technology, Inc.
Laser Technology Inc. (LTI) started working with the US government more than 30 years ago by designing lasers that measured distances between two planes in-flight for a de-icing exercise. The company then won a contract with NASA to build a custom laser that could measure both distances and speeds for space docking missions. Its first professional measurement device was a hand-held reflector-less total station launched the GPS laser offset sector. LTI addresses real world needs and applications, including forestry, mining, utilities and surveying, among others. 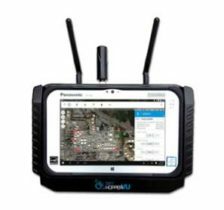 The company focuses on facilitating data collection and GPS/GNSS mapping for professionals, with innovative solutions aboard Android and UAV platforms. Register here for the free August 31 webinar. A final speaker expert in aerial photography will be announced soon.